Guidebooks are silent about it. 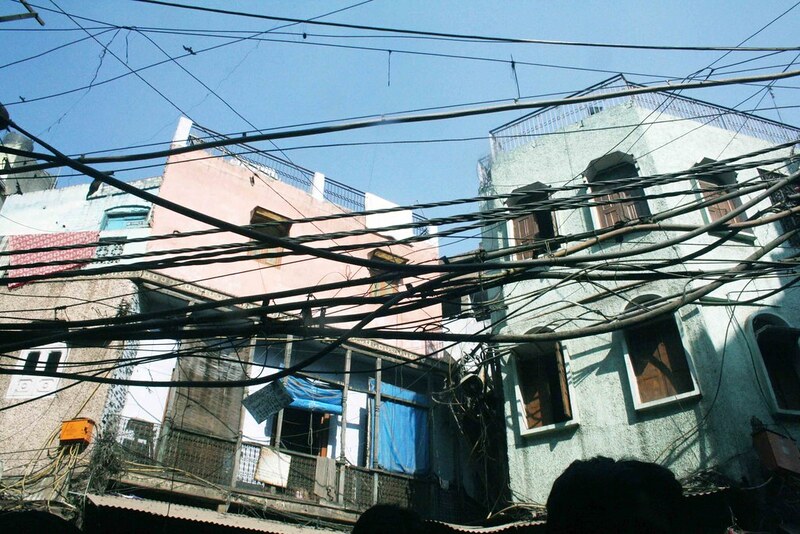 As though sightseers in Old Delhi would utterly fail to notice all those power cables dangling low, all over the place. These thick cables in the historic Walled City are affixed to electrical poles like sleepy pythons entangled with one another so densely that they can’t be distinguished one from the other. Sometimes, the installations are spread across narrow lanes in such complicated patterns that they can easily act as metaphors for a street map in a magic realism novel. 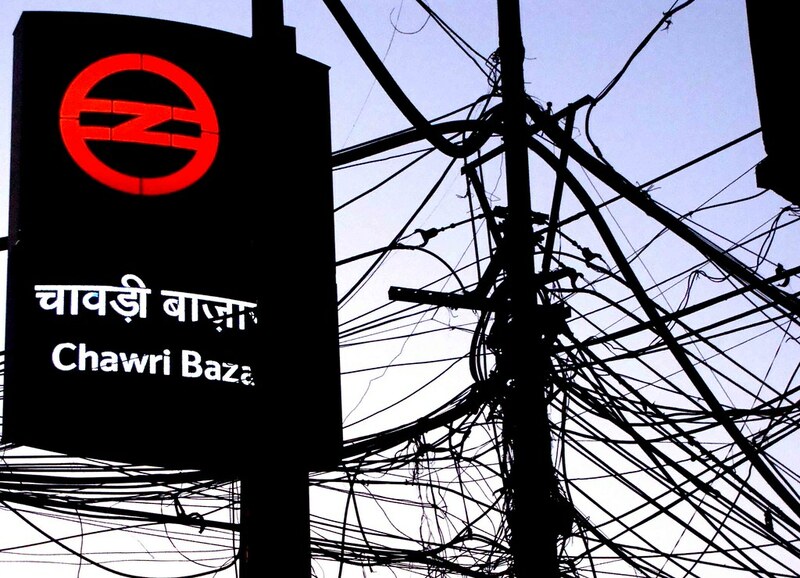 You can encounter one such classic gossamer web on stepping out of Chawri Bazar metro station. 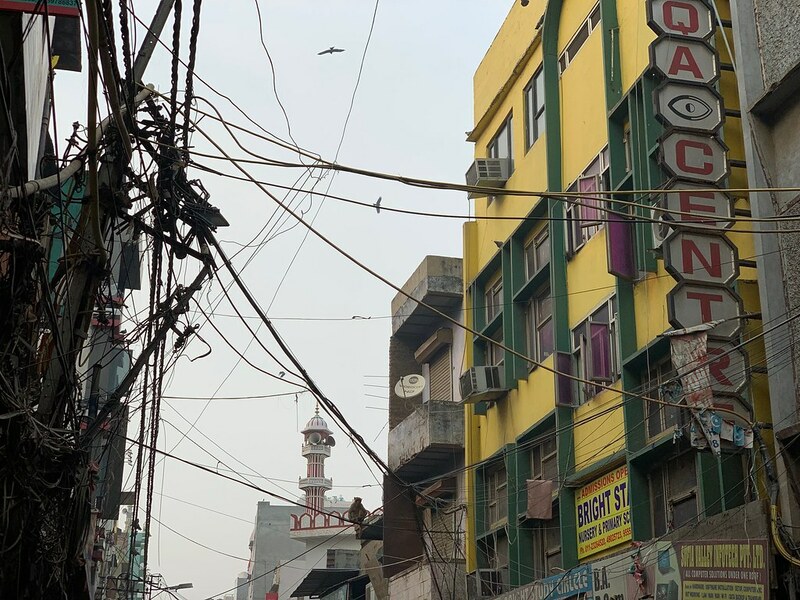 There they are, the fantastically intertwined power cables looped around an electric pole, next to Ashok Chaat Bhandar— seeming to have spun out of the congested square’s filthy air. 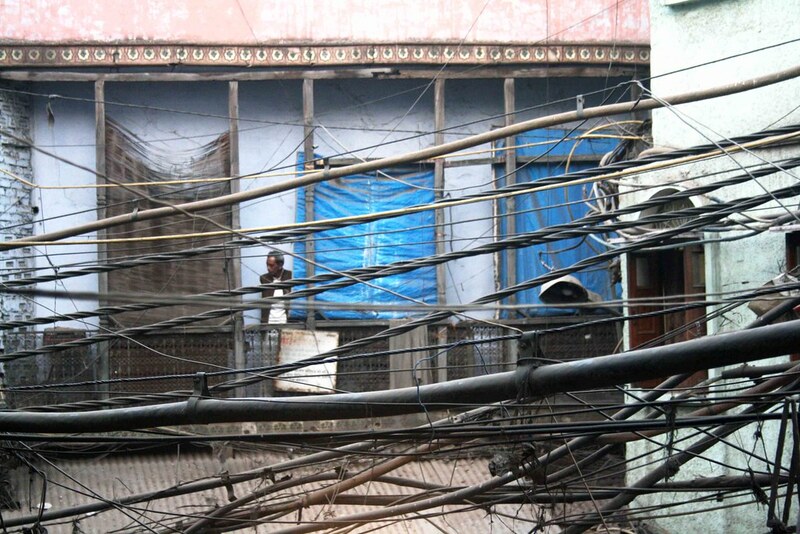 The way the locals enmesh their daily life with the cables is equally surreal to witness. 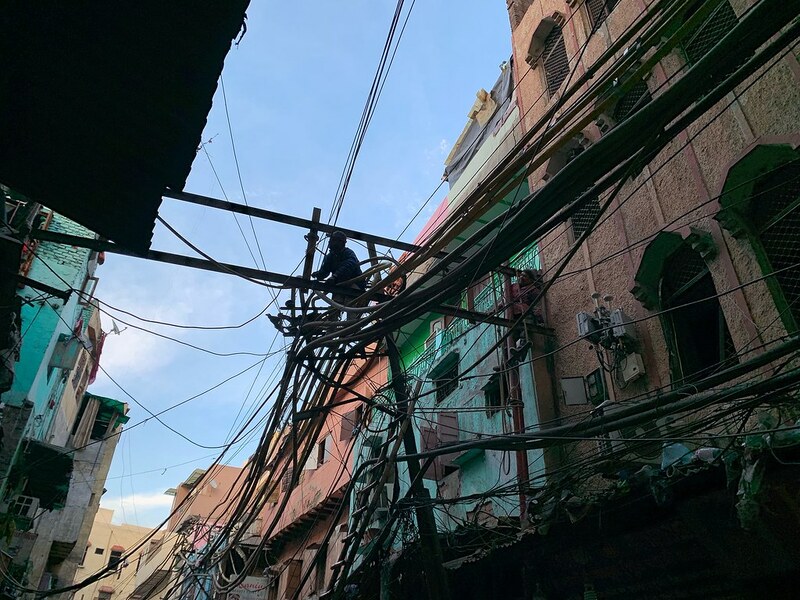 The ever-changing public at the picturesque Matia Mahal bazar gossip unconcernedly, standing beneath the complicated mesh of low-hanging cables that can challenge electricians now and then when they do turn up. Their competent hands seemingly understand the secrets of each and every cable, like a surgeon dealing with nerves in a brain. And, the power usually works! Although the amazing cable patterns are best viewed from the street, some private homes offer tantalising scenes. 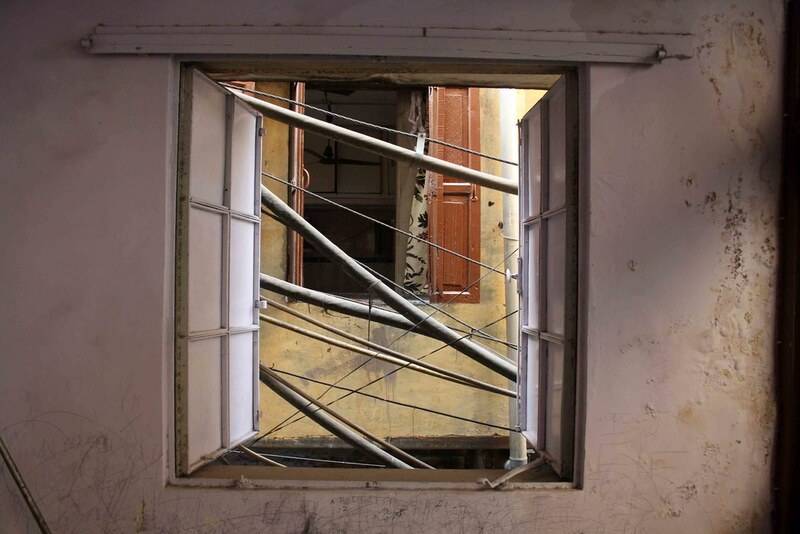 One particularly stunning sight in Ganj Mir Khan is from the drawing room windows of the late Persian scholar Yunus Jaffery. 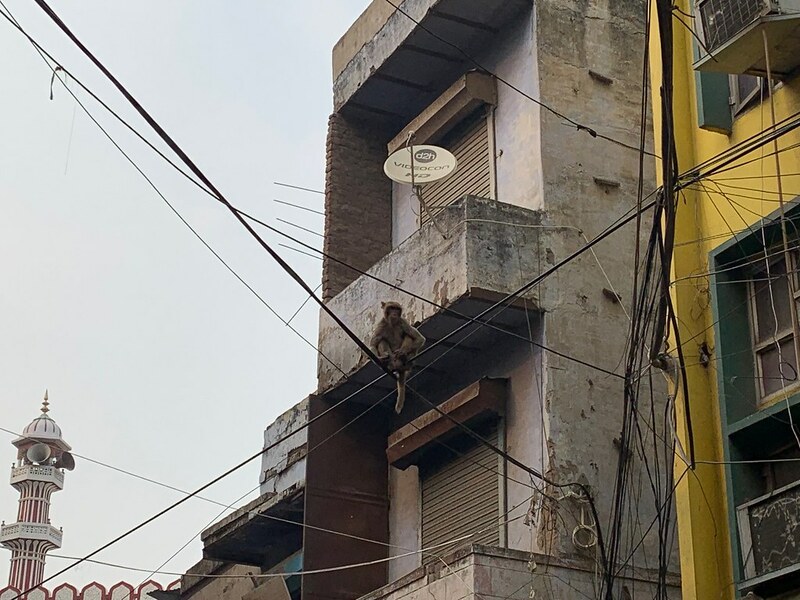 Then there’s a stretch in Lal Kuan where monkeys sit perched on the cables as if it were their drawing room sofa. There are always those timid souls scoffing about these cables, perhaps a tad concerned. 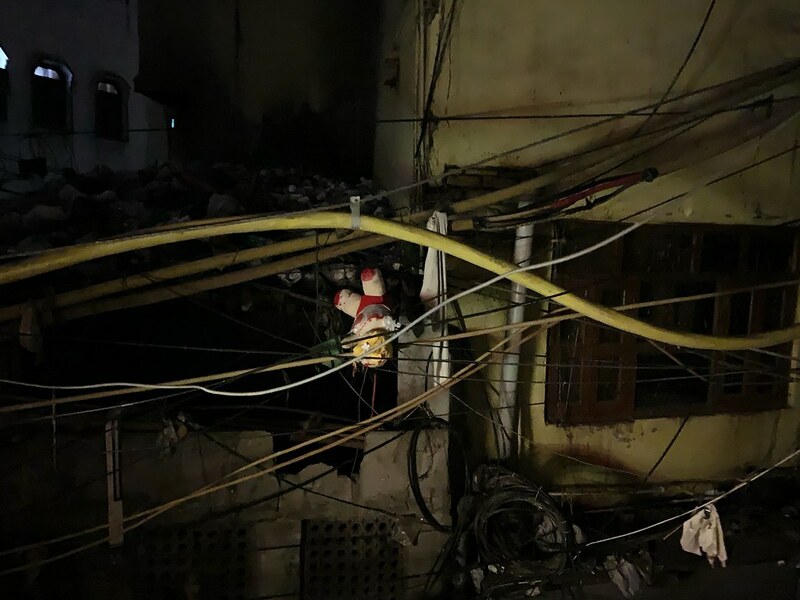 But maybe the cables really do need to be there, not only for practical purposes, but as an element that shapes the contemporary aesthetics of the Mughal-era quarter with all their twisty nuances. 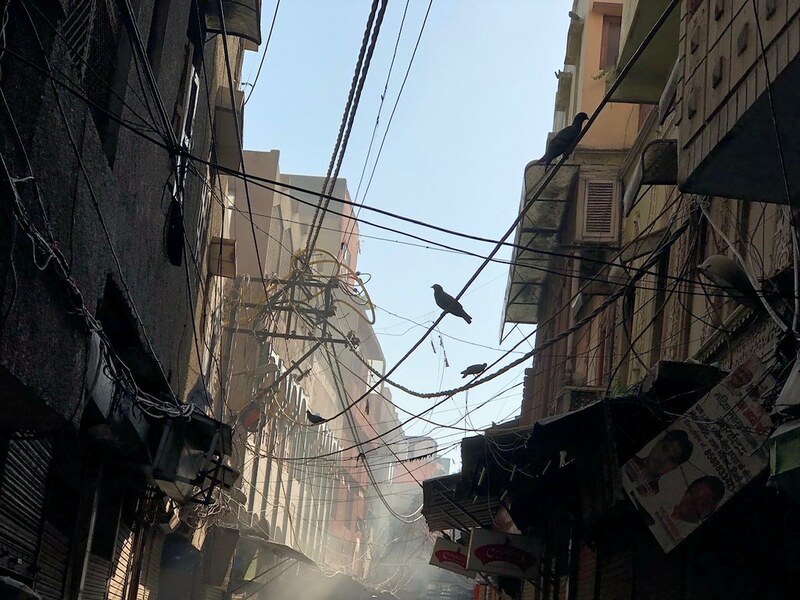 One does, however, wonder that just how these streets looked during the times of the Mughals when there was no power and, hence, no cables.